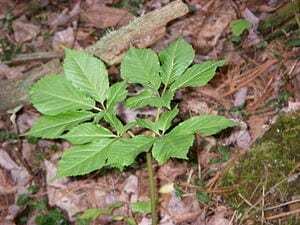 American ginseng is reported to have neurocognitive effects, and research has shown benefits in aging, central nervous system disorders, and neurodegenerative diseases. The challenges of incorporating ginseng into food are twofold: it has a bitter taste, and food processing can eliminate its healthful benefits. Reporting in the August issue of the Journal of Dairy Science®, a group of scientists has formulated low-lactose functional milk that maintained beneficial levels of American ginseng after processing. An exploratory study found the product was readily accepted by a niche group of consumers. To reduce the bitter taste of American ginseng, the investigators developed samples with vanilla extract and sucralose, a zero-calorie artificial sweetener. In a preliminary study, 10 tasters with a good ability to discriminate between flavors compared low lactose UHT milk without any additives (the control) to low lactose milk with ginseng extract, vanilla aroma, and sucralose added before UHT treatment. They developed a list of 10 attributes that described the sample: color, sweet odor, milk flavor, vanilla flavor, metallic/root flavor, sweetness, bitterness, aftertaste, astringency, and viscosity. They then rated the intensity of each attribute for five samples; the control; the control with ginseng extract, vanilla aroma, and sucralose added; the control with ginseng extract added; the control with vanilla and ginseng extract; and the low lactose milk with ginseng extract; vanilla aroma; and sucralose added before UHT treatment. In a second study, 100 participants were asked, on a scale of one to five, how willing they would be to consume a “highly digestible semi-skimmed milk,” and a “highly digestible semi-skimmed milk enriched with ginseng extract that would improve cognitive function.” Then, they tasted and rated, on a scale of one to nine, the overall acceptability of the control milk and the low lactose milk with ginseng extract, vanilla aroma, and sucralose added before UHT treatment. Both the presence of ginseng and the thermal treatment affected some sensory properties of the milk. The addition of ginseng significantly increased the perceived light brown color in the flavored and unflavored samples, and was highest in the reduced-lactose milk with ingredients added before the UHT treatment. The sweet odor was more intense in flavored samples, but decreased slightly in the samples of milk with ingredients added before UHT treatment. Bitterness was clearly perceived in the samples containing ginseng additives, but was lower in flavored samples, indicating that the vanilla aroma and sucralose masked, to some extent, the bitter taste caused by ginseng extract. April 17, 2019 - The Best Anti-Inflammatory Diet Is Just Healthy Eating OutsideThe best anti-inflammatory diet is just a classic healthy diet. April 5, 2019 - These brothy, healing spring soups (easy to make!) will get you back into sync Milwaukee Journal SentinelIn the Chinese household of her childhood, clear soup was part of the author's daily meals. Those "healing soups" are also suited for a Wisconsin spring. March 28, 2019 - These Caffeine Alternatives Will Give You A Natural Energy Boost mindbodygreen.comSay goodbye to coffee! These are the best caffeine alternatives for healthy, natural energy including carob, peppermint, and more. February 27, 2019 - Searching for Passion American Council on Science and HealthReprinted by permission of McGill University Office for Science and Society. ###. Humans are absolutely passionate when it comes to searching for passion.